Location: Southeastern Congo (Zaire). The iconographic representation of women in Luba sculpture correlates to the important role of women in Luba society. The Luba empire can be traced as far back as 1500, when it emerged from the Upemba depression which is still the heartland of the Luba. 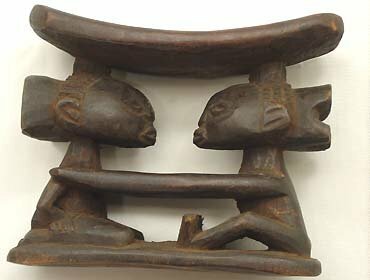 For a similar example, see THE JEROME JOSS COLLECTION OF HEADRESTS AT UCLA, by Dewey.